With their feet firmly set in Vancouver and their sights set high, the fledgling ASL Singles Club label/clothing line is one of the most inspiring outfits operating today. Headed by Vancouver residents 8prn, Heartbeat (s) and Chef, the label has already released a series of impressive singles from Nick Wisdom, Autem and Rook Milo. 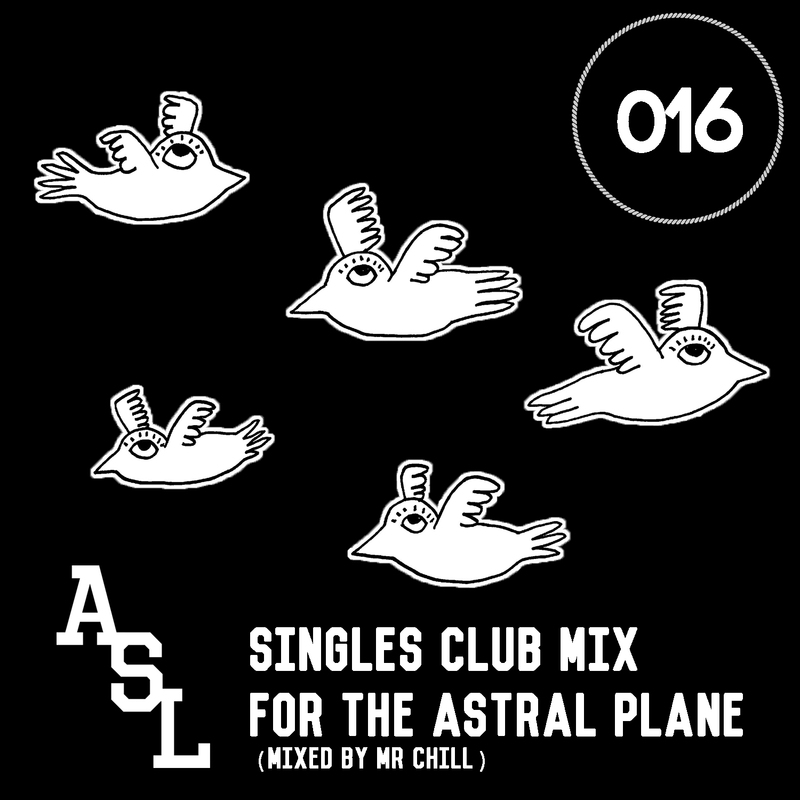 We were lucky enough to grab 8prn for a quick conversation about ASL and ended up roping the mysterious Mr. Chill into contributing a guest mix on the part of the label. Mostly 4/4 fare, the mix features upcoming ASL material from Prison Garde and Sleepyhead as well as a few well-placed unreleased jams from the likes of Motions (formerly of Grown Folk) and the Amsterdam-based Presk. Who is Mr. Chill and who makes up the ASL family? Is it mostly a Vancouver-based thing or more of a global affair? ASL is run by Chef, 8prn and Heartbeat(s), with some help from Mr. Chill, an older dude who invests in us. The fam extends to the artists who release with us as well; Rook Milo, Autem, Nick Wisdom, Sleepyhead and more to come. At the moment we are majority Vancouver based, although we have releases lined up from artists in other cities and countries; Montreal, NYC, and London. How did the label come about? Was there an initial goal and/or vision for it? The label started as an idea birthed between the three of us (heartbeat(s), chef, and I). We were going to start a clothing line and have a blog with a music focus. Instead, Mr. Chill over heard us chatting about it and convinced us to do both. Our goal was to create a similar vibe to legendary Factory Records and blend that with modern noteworthy labels like L.I.E.S., Kitsune, and Sound Pelligrino. Our hope is that people will be excited about the music and the clothes. Somehow build towards releasing music in an interesting package. Besides just 12″s but maybe something like a skate VHS compilation with music and a tshirt limited to 200. Also our goal with the music is to introduce people to exciting and unique sounds. Not to be pigeon held to a specific sound, other than it sounding good. I heard you’re based out of a “grimy basement” in Gastown. What’s that like? The grimy basement is our design and music studio that we have recently been kicked out of; we had a party that caused some issues with the police. It is situated on Vancouver’s infamous Hastings street, filled with all sorts of interesting homeless folk. The studio was a great collab space, and really helped us start out as a label. There’s a pretty unique dance music scene evolving in Vancouver. Is there much cohesion and/or dialogue between different British Columbia crews? How does ASL play a roll in that? The scene here is pretty small, so everyone does end up going to each others’ parties and shows, especially those at art studios and warehouse spaces. The annual New Forms Festival brings a lot of the different crews together as well, Mood Hut, 1080p, Jellyfish Recordings, Lighta!, and Hybridity to name a few. ASL is still fairly new to the scene, but with Heartbeat(s) affiliation with 1080p, another new label, we hope to start collaborating on events and such soon. What does ASL have coming up for the rest of 2014? Releases? Parties? Etc. On February 18th we will be releasing the label’s first ep by Sleepyhead, titled “Untitled”. It’s a five track ep filled with old school house vibes and vocal hooks. Following soon after, we have two other releases from London’s DJ Sharda, and Montreal’s Prison Garde. We plan on getting more t-shirts and clothing out there as well. As for events, we have all been looking to move eastward to Montreal come summer time, so some parties may pop up around that area in the future. Tell us a little bit about this mix. Is there a major theme or concept behind it? The mix features some tunes that we have all been into at the moment, with Galcher’s ‘Put on’ as a highlight for my self recently (8prn). Some unreleased material from Heartbeat(s), Rook Milo, Sleepyhead, Motions, Presk, and Prison Garde (forthcoming on ASL) is included as well. The mix has a melodic house and techno vibe throughout.